Results of firing of first 389 rounds are given. Interlock assembly failed to function after 125 rounds. Other malfunctions occurred. Second test—5-9 March 1944. Malfunctions again occurred. Third test—10-13 March 1944. Hammer broke during test. Gun withdrawn by inventor. Ballistic results of tests are given. Wants hombers equipped with 20- and 23-mrn cannon as protection against enemy fighters. Photo. "Gazda" system 4-stroke flywheel-inertia locked automatic cannon far aircraft. Providence, R. I., n. d.
Weapon is compared with 20-mm Hispano automatic cannon by means of drawings. Chief difference is in the breech closing. Gazda system is characterized by flywheel inertia locking and pre-percussion. Illustrated. The "Gazda" 20 mm 23 mm automatic antiaircraft cannon. 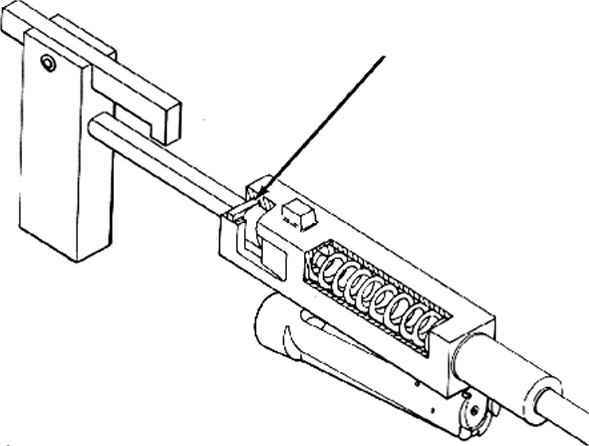 n. d.
Weapon compared with Oerlikon gun. Drawings showing weapon and components, also four stroke action. Describes Gazda's career and establishment of plant in New England. Photos.